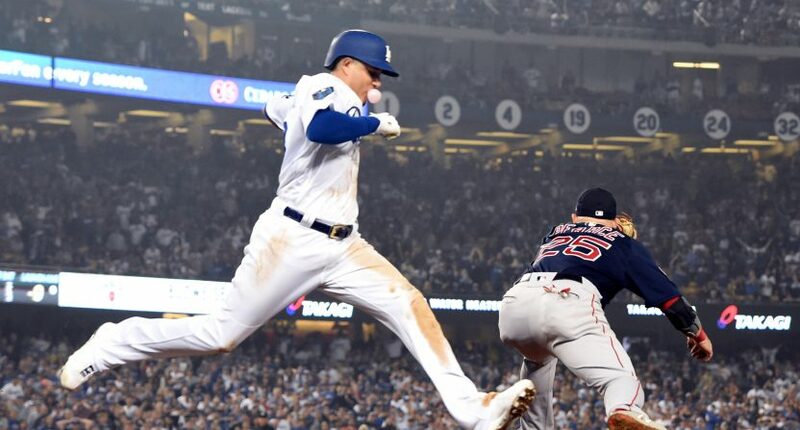 The Manny Machado free agency saga has been one of the big stories of the Major League Baseball offseason and despite reports that the Chicago White Sox seemed to be closing in on the slugger, the latest twist seems to imply we’re right back where we started. On Wednesday, ESPN’s Buster Olney reported on the specifics surrounding the offer the Sox made to Machado a few weeks back. The fact that the offer was seven years was expected but the specific number of $175 million was new information. Machado was said to be looking for something in the range of $300 million, making this seem like something of a lowball. It’s also the kind of number many other teams could match if they wanted. Afterward, USA Today’s Bob Nightengale followed up on Olney’s report with a confirmation on the number. He also pointed out that it seems like the White Sox are basically bidding against themselves right now, hence the reason they haven’t upped their offer. If all of that is true, it’s not great news for Machado and it’s really not great news for his agent, Dan Lozano. Lozano actually decided to do something about the reports, which he calls “inaccurate and reckless,” by releasing a statement accusing the two reporters of trusting bad sources who are attempting to influence the negotiations. Certainly, teams and agents using reporters to shape stories and influence negotiations is a tactic we’ve seen plenty of. And the Twitter Age certainly fuels the need to be first with information rather than taking the time to explore its validity. It does seem dubious to think that the reporters in question, both of whom work for giants in the field, would casually speak about this information if they weren’t sure about it. There’s also plenty of good reasons for Lozano to push back on the reports given the underwhelming nature of so many contracts given out this offseason. Chances are, this is Lozano attempting to pull some leverage back to his side. But, we suppose, you have to leave room for the possibility that someone is making power moves behind the scenes. Ultimately, we probably won’t know how accurate these reports are until Machado signs his contract, be it with the White Sox or elsewhere. And even then, we’ll probably never know exactly what went down behind the scenes. But the biggest takeaway might be that this kind of tactic is going to become more commonplace. We’ve already seen the way shouting “fake news” into the wind can be effective, so there’s no reason not to see it pop up more often in the sports world.